Grant season is upon us and we anticipate the Family and Youth Services Bureau (FYSB) will release the Runaway and Homeless Youth (RHY) program funding opportunity announcements (FOAs) soon. NSPN understands how important this funding is, and we're excited to offer assistance to help make the process easier. Last year, we launched the "Gearing Up for Grants" email series, and we are happy to be sharing the series again this year. You'll receive tips to help you get prepared, write your grant proposals, understand the review process, and handle the stress once your proposal has been submitted. Please feel free to contact us if you have any questions. NSPN is here to help! Preparation is one of the main components of a successful funding proposal. One way grant writers can prepare is through mind mapping. 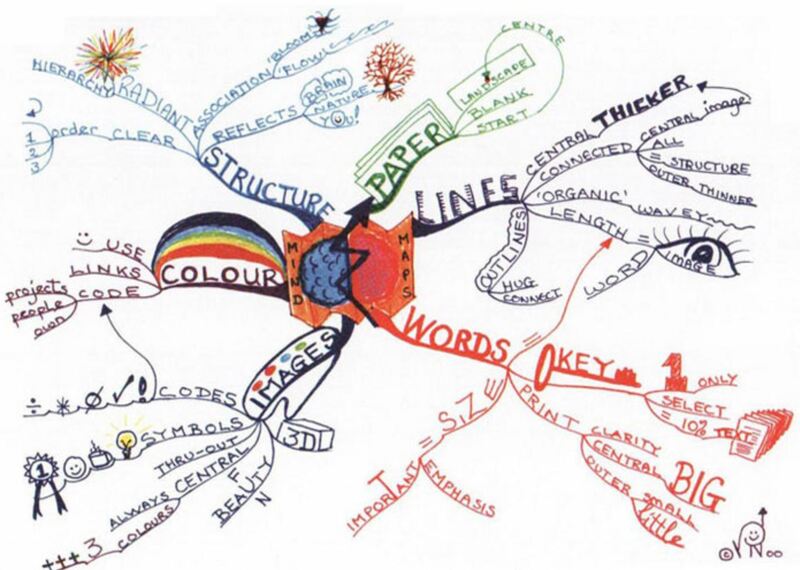 A mind map is a visual representation of tasks, words, concepts, goals, and ideas. It's a visual thinking tool that takes a tedious list of information and turns it into a colorful, memorable diagram. Mind maps help organize your list in a way that is natural for your brain. Because mind mapping is an activity that is analytical and artistic, it taps into both sides of your brain, opening doors for a stronger outcome. Mind maps can be used for note taking, brainstorming, problem solving, planning, researching and consolidating information, and more. Try it out! Start with a blank piece of paper. If you're an NSPN member, you can download Mind Map Templates created just for you by logging into your NSPN Support Center at www.nspnetwork.org. If you wish, you may also request them directly from April at [email protected]. Place your main topic, goal, question, etc., at the center of the page. Let the answers flow through your mind onto the page-in no particular order. Write each down as a "branch" extending from your main starting point-keeping them to keywords or short phrases. Try using different colors and thin and thick lines or doodling small images. Be creative - "branches" can be all shapes and sizes, and they don't always go in the same direction. Take it further by thinking of ideas, examples, and anecdotes as "stems" drawn out from your "branches." A great way to strengthen your map is to share it with colleagues and encourage them to add their thoughts, ideas, and examples. Most importantly, have fun with it. Grant writing can be stressful. Why not take control of your planning process by having a little fun? Here's a sample of a mind map someone created for "Writing a Grant Proposal": http://www.biggerplate.com/mindmaps/Cy5m5JLX/writing-a-grant-proposal. Preparing your mind and materials are only two parts of the process. Your work-space can help or hinder your funding proposal. An unorganized work-space can cause additional stress, along with delays due to searching for documents or supplies, and more. Make sure your materials are easily accessible. In last year's "Gearing Up for Grants" email series, we shared tips about setting up your "Zen Zone." If you missed that series, here's a great link to help you learn about feng shui. Feng shui provides a natural way to set the "tone" and energy of your office. However you prepare your work-space, make sure it feels right for you. Being comfortable will help you focus and prepare a successful proposal. Don't forget, NSPN members with the Organizational Development package may utilize their technical assistance and review benefits for all types of funding proposals. Don't delay in contacting NSPN for assistance.